"Can. CH. ROANEDEN'S HOOK LINE N SINKER"
"Phoebe" is our keeper from Cayenne X Scotty. She is a fun loving girl, with a giant dose of self confidence! She has no fear of anything! Watch out world! 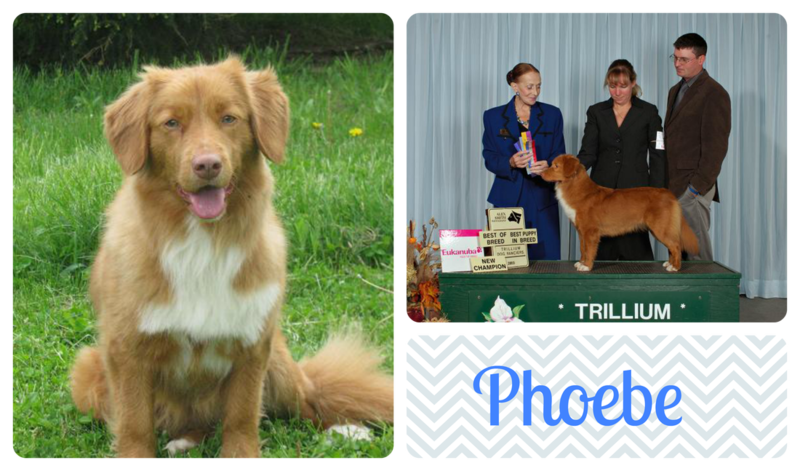 Phoebe is a compact, girly Toller, with great angulation. She moves easy and has a fabulous side gait. She is a sturdy Toller with strong bone, that is lost in the breed today. Phoebe represents our second bloodline. Both her parents are from Belgium, providing us with quality and diversity within our line. Phoebe easily finished her Canadian Championship from the puppy classes. Phoebe is a great mom and has produced multiple Canadian / American Champions and Working titled offspring. She passes on her super love for life and all around fun-time attitude!